Beginning your tour you will arrive in Iquitos and then be transported to Nauta where you will board your cruise ship. Nauta is the oldest city in the department of Loreto and lies between Iquitos and the Maranon River, where the cruise ship will be waiting for you. Early risings are rewards with an abundance of nature viewings. Tour Igauna Isles and fish for piranha. There are 25 different species of piranha in the Amazon basin, black, white and red bellied. They are so smart and fun to catch. explore the Yarapa River, where there’s a good chance that you’ll see squirrel and capuchin monkeys, herons, egrets and green iguanas. Also on your tour of the Yarapa River, observe the dolphins and birds. A tour Yanallpa River will bring you to the Magdalena Village that you will visit and explore. 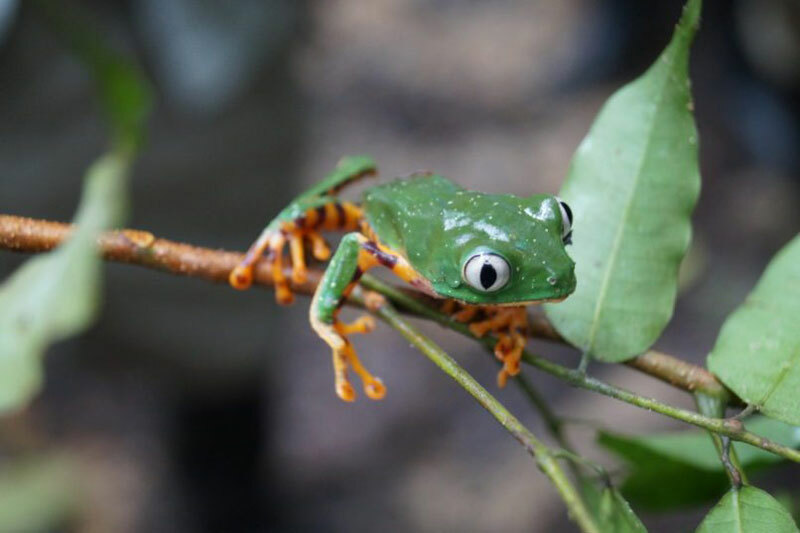 After your tour of the village, commence to the Yanallpa Flooded Forest and explore the beauty and wildlife within. 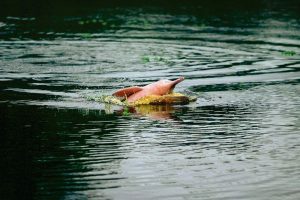 Tour the Ucayali River and observe the pink river dolphins and other wildlife that may be in the area. Spend your day exploring and end your day with a view of the Macaws at sunset, an amazing once in a lifetime view. Continue your tour on the Amazon and visit another local village for more discoveries on the cultures and simplicity of life among these people. Tour the Yarapa river with a visit to the Magdalena Village. 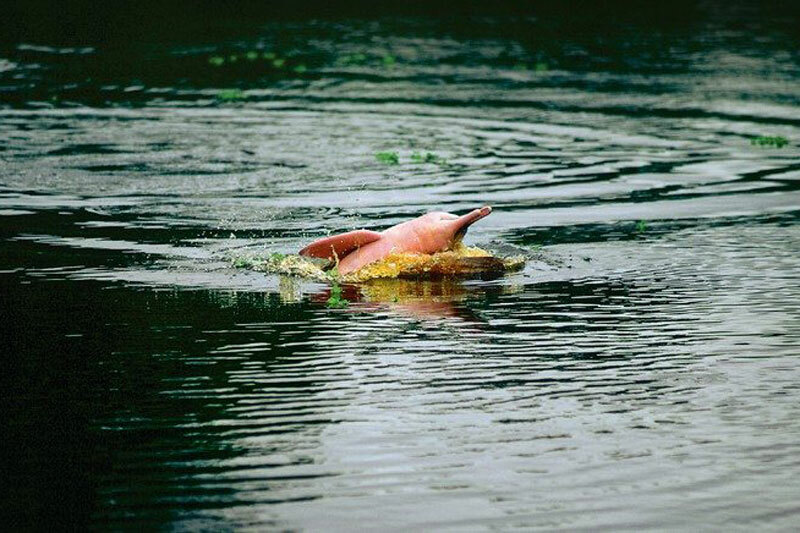 Observe Pink River Dolphin in the Ucayali River. Arrive in Iquitos where you will be met by your guide and transferred to Nauta where you will board the Aria. Morning: Sail the Yarapa River and Tour Iguana Isles and go piranha fishing. Afternoon: Dolphin, bird, and monkey expedition. 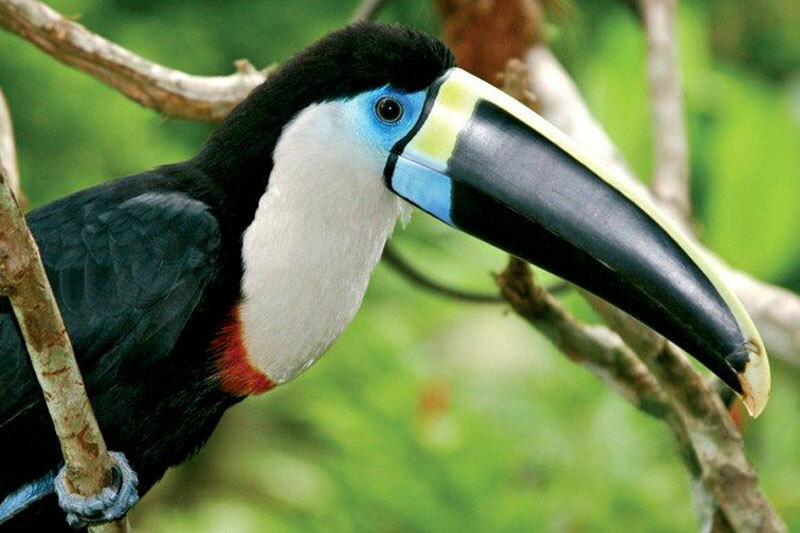 Morning: Tour the Yanallpa River and visit the Magdalena Village or the Yanallpa Flooded Forest. Afternoon: Explore the Ucayali River while observing the pink dolphins, and at night view the Macaws at sunset. Morning: Tour the Amazon source and a local village. Afternoon: Disembark at a jetty in Nauta, where a bus will take you back to Iquitos. Beverages (non-alcoholic, selected wines and beer). Experience the world as it was at the very beginning of time. Sail the waters of the mighty Amazon. 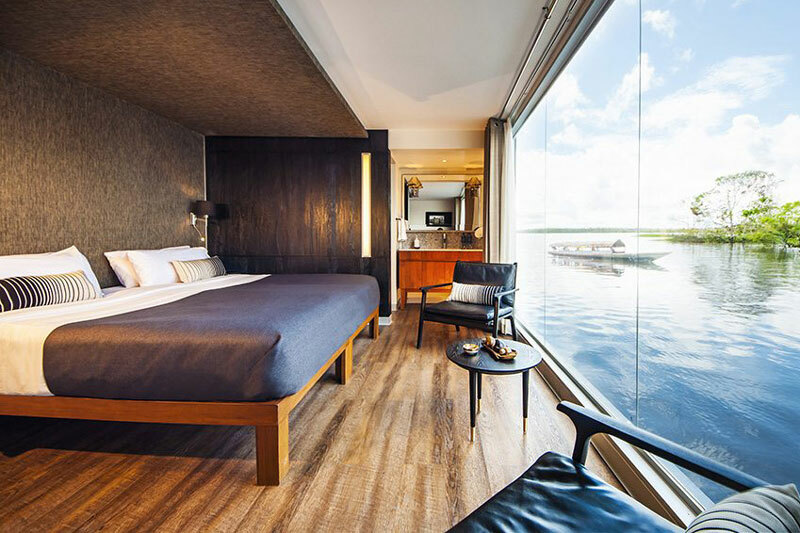 Every week of the year, the award-winning Aqua Expeditions’ luxurious Aria Amazon takes 32 passengers deep into Peru’s Amazon wilderness to places only ever visited by only a fortunate few. Daily water-based excursions on comfortable launch boats allow guests to experience such wonders as pink dolphins and six-foot-wide water lilies, to fish for sharp-toothed piranha, and to interact with the people who live out their days along the river. Aria Amazon is Aqua Expedition’s 147-foot flagship. Its 16 luxury guest suites, designed by an internationally renowned Peruvian interior designer, measure a generous 240 square feet, and feature large, outward facing panoramic windows and en suite sitting areas. All suites are air conditioned, and four are interconnected, to cater to families. Guests can socialize in the dining room, bar, on the observation deck with outdoor jacuzzi and at the lounge. There is also a small boutique and an exercise room. You’ll be served by a crew of 24, including a cruise director, paramedic and four skilled naturalist guides.